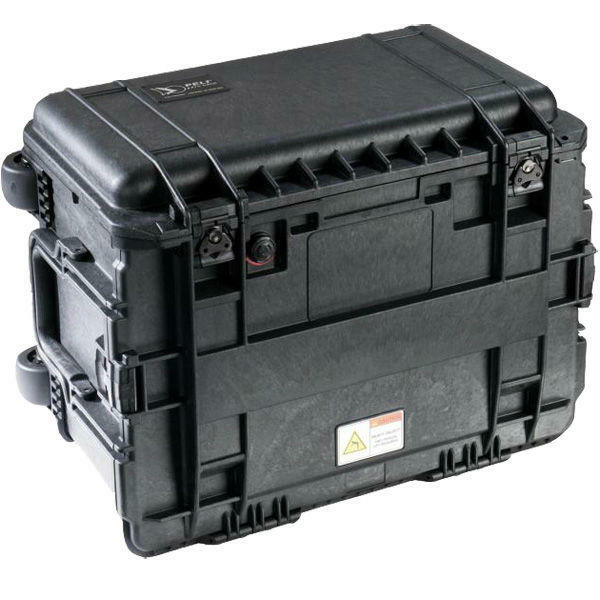 The Peli 0450 Mobile Tool Chest was originally designed with military maintenance engineers in mind. Over 70 tests were required including water submersion, extreme temperature tests and drops from 1.5 metres. 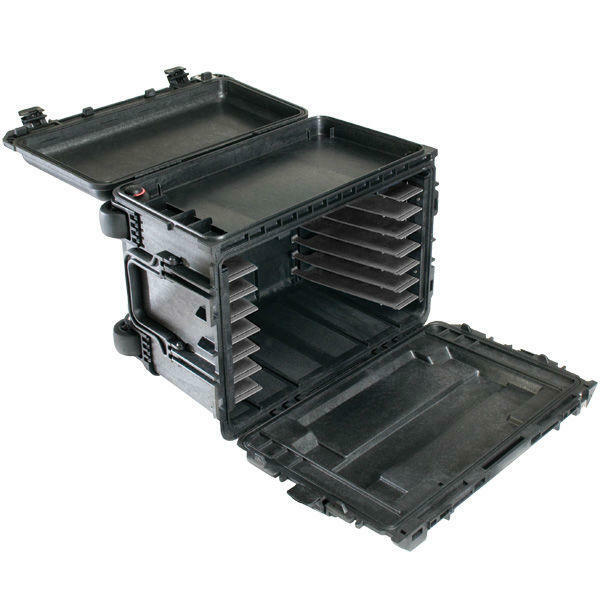 Its unique design allows for rapid deployment in harsh environments. It is equally as useful for civilian applications. 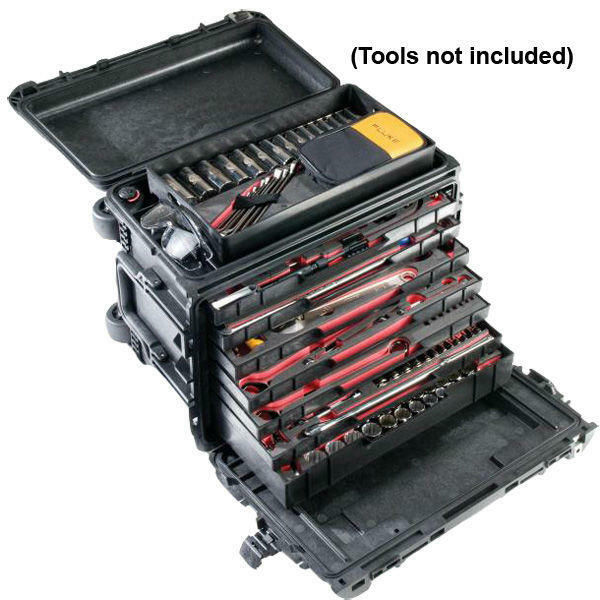 The Peli 0450 Mobile Tool Chest can also be supplied with Drawers – see related products below.